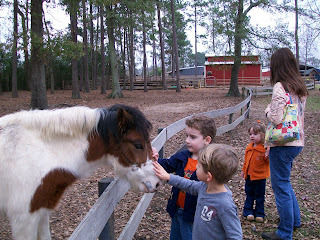 Cameron & Dawson petting a sweet pony. 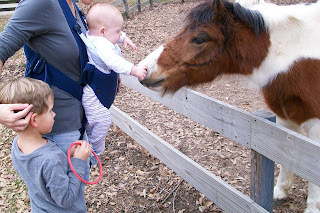 Brady checking out the pony too. 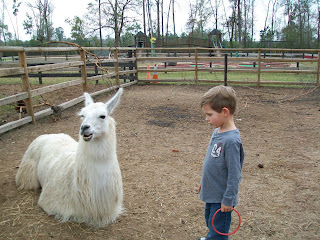 Dawson standing near one of several big llamas. 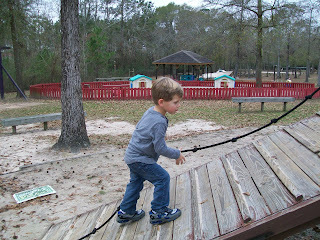 Climbing up the fort-style playground. 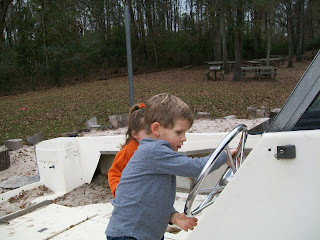 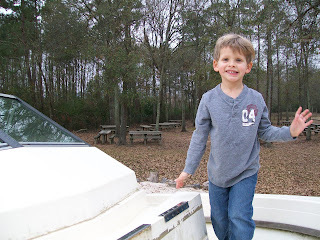 Having fun on the boat. 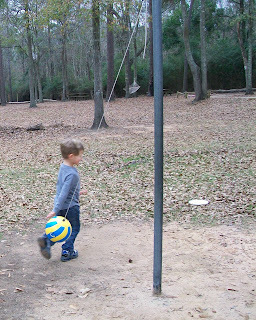 Instead of trying to whack the ball as it came by, he preferred to launch it and then run away from it (around and around) as it zipped around the pole. 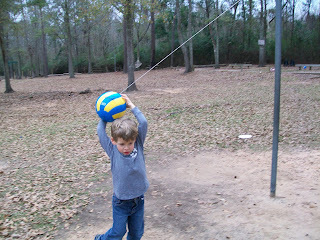 Getting set for a big throw. 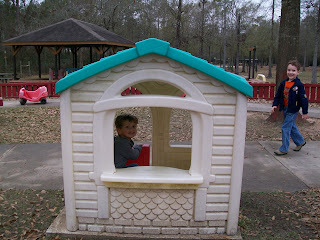 Dawson playing in one of the little houses as Cameron comes over to visit him. 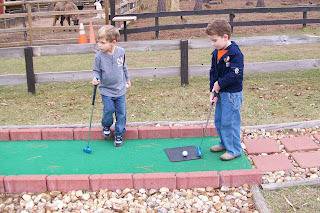 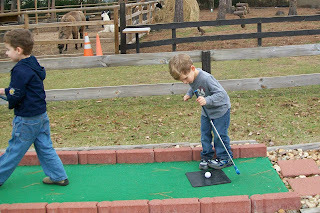 Cameron playing miniature golf and Dawson waiting for his turn. 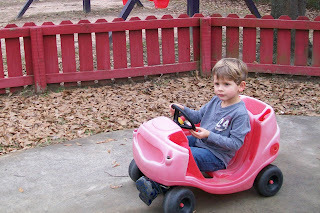 Dawson Gets His Christmas Bike!